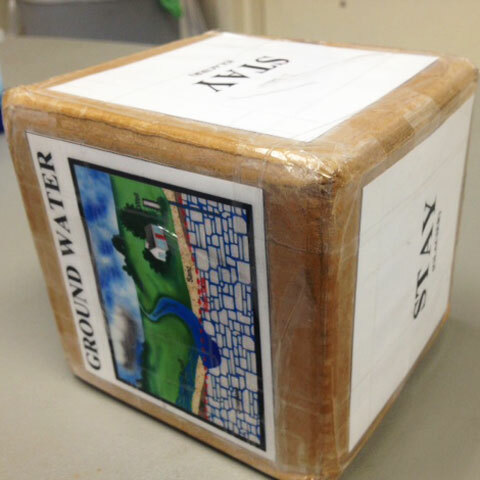 Recently at a Girl Scout overnight, the girls worked on earning a badge while playing a game about the Water Cycle. 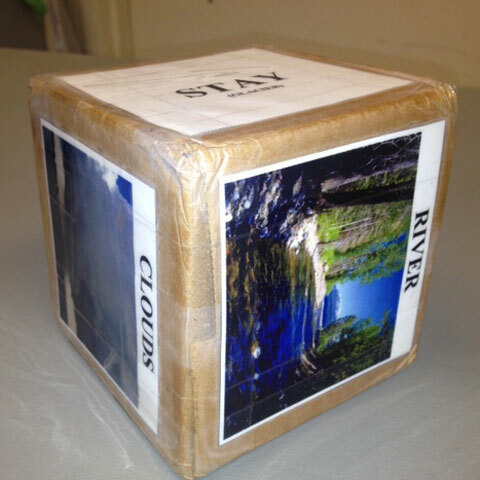 It’s hands-on, interactive and a great way to teach about water molecules and their journeys. The water cycle is usually portrayed in a circular diagram – water from the clouds precipitates or rains down on the land, the water runs into rivers and the ocean and evaporates back into cloud form. This is a simple explanation of how water travels. Water actually moves through several places or compartments water visits through its journey. The water molecules also may spend a long time or a very short time in a compartment. For example, water is frozen into glaciers for hundreds of years, or travels in underground for a long time. For example, the Antarctic Bottom Water, the deep ocean water formed in the Antarctic, takes over 250 years to travel along the bottom of the Pacific Ocean before it resurfaces in the Aleutian Islands. Animals and plants also move water. It is consumed, extracted and leaves during respiration, perspiration, excretion or evaporation. Think of all of the places water is found and essential. Allow about 30 minutes or less to print out station signs, build cubes and sort beads. Once you have it built, the game is easy to pull out and play. About 15-20 minutes is a good amount of time for the water molecules to travel. 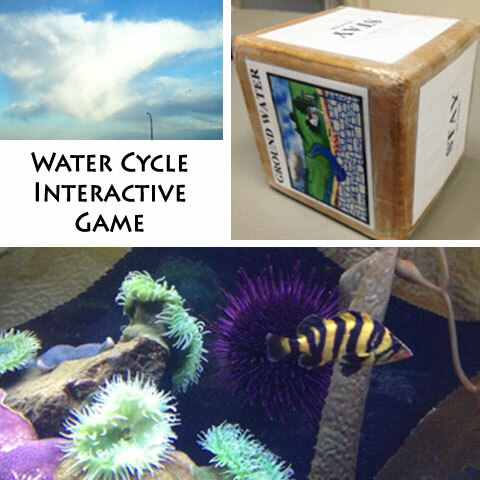 Before playing the game, start out with a mini lesson in the water cycle and conservation. All of the water molecules on our planet are the original molecules. There is no way to get more water – the water on the earth just moves through different forms and locations but it does not grow or increase. Water is always in motion – sometimes it moves quickly and other times it’s slow. Kids will become water molecules traveling through the water cycle and gain a strong understanding in the movement of water. Divide the students up into nine even groups. Give each student a pipe cleaner with a loop at the bottom to hold the beads. Each group starts at one of the nine compartments of the water cycle – clouds, lakes, rivers, glaciers, groundwater, soil, ocean, plants, and animals. Each station has a sign, one color of beads, and the corresponding block. Students line up at each station and take a colored bead that represents that station. One at a time, each child rolls the dice. Depending on where the dice lands, the student will move to the next station. Not every roll will move the water molecule. For example, water molecules in glaciers can get stuck for awhile. Each time the dice is rolled, a bead is added to the pipe cleaner. If a water molecule gets stuck at the glacier for three rolls, three beads are added. For a twist, you can use Color Changing UV Beads at six of the stations. These beads will be white inside the classroom and turn color outside in sunlight. Students won’t see the colors representing some of the stations until they step outside with their bead stories. Have students also write the name of each station they land at and how they got there in their science notebooks. Continue the game until each student or water molecule has cycled about 10 times. Pipe cleaners can bend into bracelets for students to take home. After the game has ended, have some of the students share their unique journey. Did they make it through all nine stations? Did they move through one station more than once? Get stuck anywhere? You can also discuss how water molecules may move in different situations. Have students practice acting out some of the motions water molecules make as they move. Snow and rain molecules stick together, while vapor molecules move alone. Cold molecules move slow, while warm ones move faster. This game was originated by NOAA on their education page. They offer downloads of game cube layouts, station signs and full instructions.